THIS!!! SMOOTHIE!!!! You guys. This Mint Chocolate Chip Smoothie recipe is the real deal. I swear you won’t be disappointed. The combination of flavors in this, along with the chocolate-y goodness will knock you off you feet…but when you really think about it, there is nothing in here that is bad for you, and THIS is why you just might want to marry this one, too. But I’ve got first dibs. I started using coconut flavor extract first. I added it to my fav smoothie, and VOILA! Instant smoothie makeover and I didn’t even have to lift a finger to prepare anything else. So easy! Then I started experimenting with all kinds of flavors in smoothies, until I made this classic. What I love so much about the Mint Chocolate Chip is that it really gives you that, “Wait, I feel like I shouldn’t be eating this” kind of feeling, but without any actual guilt. On top of that, you get a whole salad in one smoothie, so you’re doing amazing things for your body at the same time. You just might never get bored with your smoothies ever again! For this smoothie, you will need vanilla and peppermint extract, and it’s best to use brands that don’t include added alcohol as an ingredient. Click the links to see them on Amazon. One tip that’s important to always keep in mind, especially if you have smoothies every day or very often, is to switch up your greens. I’m serious. It’s important. For several reasons. First of all, for those of us who form kidney stones (don’t worry, we only make up 10% of the population, so you’re probably not one of us), it’s extremely important to switch up your greens. Especially if you’re a calcium oxalate stone former, then you want to avoid spinach, parsley, chard, and beet greens. But the main reason is the one you hear over and over again, in your life, that relates to so many things: everything in moderation. I know, I know, it sounds so mundane. But it really is true, even if you’re a Nutritarian. When you are making sure to rotate your greens (or any other food for that matter) you are not only keeping things fresh for you mind and tastebuds, but you’re also switching up with nutrients your body is taking in. This is extremely important for anyone, whether you’re a Nutritarian, vegan, vegetarian, pescatarian, paleo or even if you eat the Standard American Diet. When we eat the same things over and over again, our body become accustomed to those particular nutrients and fibers and it turns into sort of a one-track mind. It will digest everything the same way and you will miss out on the other (very complementary) types of nutrients that are found in other foods. Your body will be deficient in those for as long as you keep repeating foods and you won’t have a complete set of tools to work with, so to speak. When I was a SAD eater (Standard American Diet), I know I used to be EXTREMELY deficient in quite a few vitamins and minerals, but was lucky enough to not have it affect me too seriously (as far as I know!). 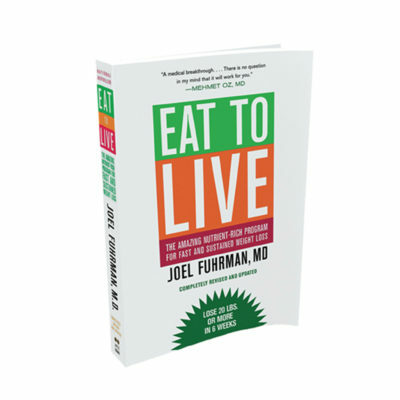 When I started the Nutritarian path, I did a similar type of thing, where I only ate certain foods, and that was when I ended up in the emergency room with kidney stones. Since learning this lesson (importantly, that even as a “healthy eater”, too much of anything isn’t a good thing), I have taught myself the joys of variety and switching it up. Though it has taken me a few years to get on this path. The rule is: if you’re ever in doubt if you’re eating too much of one thing, then you probably are. If you rely on one food to get you through, you’re probably having it too much. This reminds me of me… :P and eating too many dates. Or spinach. Or bananas in nice cream. Or too many seeds. Or salt back in the day. Or ___________ fill in the blank with many other foods I’ve had too much of at once. Do try to mix up your foods and your body will thank you over time, I promise. “Cacao nibs are bits of fermented, dried, roasted and crushed cacao bean. That’s it! The nibs you buy in a health food or gourmet grocery store are just chocolate that hasn’t been ground and mixed with sugar yet. They’re extremely good for you, and have an intense chocolatey taste, but aren’t sweet at all. If you’re already a chocolate lover, chances are you’ll be into nibs. That’s why having them in a smoothie is the perfect thing to do, because you get the sweet creaminess from the smoothie and then bite into the nib and get the sense of eating chocolate chips. And the craving is satisfied! You can get the kind of Cacao Nibs that I use by clicking here. Add all ingredients except the nibs to your high-speed blender and blend until the dates are completely pulverized. Top with the cacao nibs. Are you a Mint Chocolate Chip fan like I am?? This was very good…I used kale in mine as I didn’t have spinach or romaine lettuce on hand…I also blended the nibs into my smoothie as I am not fond of the bitter taste when eaten whole. OH my gosh!! I didn’t have the chocolate nibs but I had Hershey’s unsweetened cocoa powder. My husband, who cannot seem to eat a lot of salad, loved the smoothie with 1/2 head of romaine and a very large handful of baby spinach. He was amazed. Who would have thought? I’m definitely a fan! I have never liked romaine lettuce in a smoothie before. I didn’t have cacao and used unsweetened cocoa in its place. I used three dates in mine, and while it wasn’t overly sweet, I didn’t taste the lettuce. I like my smoothies really cold, so I added some ice cubes, too. I liked that it included more greens than fruit, as I’m trying to move in that direction. Thank you for a nice morning drink. I’ll pick up some cacao soon and make this again.